(2020) Paridaiza. A philosophical novel about artificial intelligence. Snuggly Books, USA. (2019) The Transnational History of Esprit de Corps. Edinburgh University Press. (2019) Being and Neonness: a Histosophy of Neon Signs. MIT Press. A philosophical, cultural, and artistic history of neon signs in the twentieth century. (2017) Who Killed the Poet? Sacramento: Snuggly Books. A philosophical novella on the rarefaction of spaces of sublimity and poetic utopia. Translated by Tina Kover. 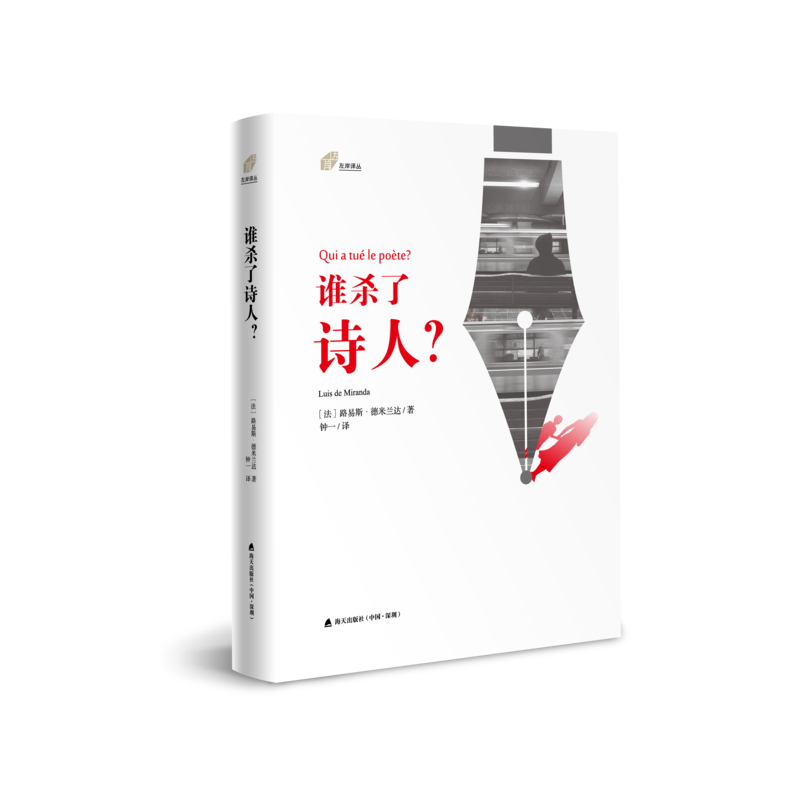 Published or to be published in several languages by other publishers (China, Sweden, etc). (2012) L’être et le néon. Paris: Max Milo. French original of the above-mentioned Being and Neonness. (2011) Qui a tué le poète? Paris: Max Milo. French original of the above-mentioned Who Killed the Poet? (2010) L’art d’être libres au temps des automates. Paris: Max Milo. A philosophical, cultural, and political history of computers and digital media. (2008) Une vie nouvelle est-elle possible? Deleuze et les lignes. Caen: Nous. A philosophical analysis of Deleuze and Guattari’s theories of lines. (2008) Paridaiza. Paris: Plon. French original of the above-mentioned. (2007) Peut-on jouir du capitalisme? Lacan avec Heidegger et Marx. Paris: Punctum. A philosophical and political analysis of Lacan’s concepts of jouissance and capitalist discourse. (2003) Ego Trip: La société des artistes-sans-oeuvre. Paris: Max Milo. A philosophical and political essay, a rereading of Debord’s concept of spectacle in the era of digital networks. (2002) Moment mangétique de l’aimant. Paris: La Chasse au Snark. A political novella on immigration, human migrations, and identity. Based on my experience of growing in France as a child of non-French citizens. (2001) A Vide. Paris: Denoël. A philosophical novel on capitalism and financial speculation. (2000) Le Spray. Paris: Calmann-Lévy. A philosophical tale on the fear of aging and the cult of youth. (1997) Joie. Paris: Le Temps des Cerises. French original of the above mentioned Joy. (2019) ‘Big Data, Small Concepts: Histosophy as an Approach to Longue Durée History’, Global Intellectual History. With Dr. Emile Chabal. (2018) ‘This National Esprit de Corps: A Short Deconstruction of a Reappearing Spirit’, Global Intellectual History. (2017) ‘The Mystique of Esprit de Corps in Bergson and Deleuze/Guattari | La mystique de l’esprit de corps chez Bergson et Deleuze/Guattari’, Deleuziana. (2016) ‘Life is Strange and “Games are Made”: A Philosophical Interpretation of a Multiple Choice Existential Simulator with Co-Pilot Sartre’, Games and Culture. (2015) ‘Esprit de Corps and the French Revolutionary Crisis: A Prehistory of the Concept of Solidarity’, Forschungsportal (University of Vienna, Austria). (2013) ‘Is a New Life Possible? Deleuze and the Lines’, Deleuze Studies. (2017) ‘On the Concept of Creal: Ethical Promises of a Non-Teleological Creative Universal’, in The Dark Precursor: Deleuze and Artistic Research, ed. Paulo de Assis & Paolo Giudic. Louvain: Leuven University Press. (2016) ‘We, Anthrobot: Learning From Human Forms of Interaction and Esprit de Corps to Develop More Diverse Social Robotics’, in What Social Robots Can and Should do. Amsterdam: IOS Press. With Dr. Ram Rammamorthy and Dr. Michael Rovatsos. (2019) AI and Robotics, 30-second collection. London, Quarto Books. To be simultaneously published in several languages/countries.